More than ten years ago when you graduated from student status to employee status, you thought your education is complete. You put away the books. No more homework. No more papers. You thought you just had to learn your job and get promoted. Well, that may have been true...back then. Take advantage of the training classes your employer provides. Classes can range from beginner to advanced level computer skills, business writing, or soft skills (i.e. communication, presentation, negotiation, etc.). Contact Human Resources and ask about the tuition reimbursement plan. 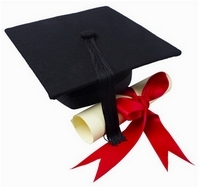 Many organizations offer full or partial tuition reimbursement programs. However, fewer than 10% of employees actually participate and take advantage of this benefit. Enroll in a certificate program. These programs usually consist of 6-8 classes which last anywhere from 2-6 weeks. Take a class at a local community college. Some offer an on-line, self-study classes where you go at your own pace. Join a professional association in your field or industry. Professional associations usually have monthly meetings, and guest speakers who present on topics that keep members up-to-date on new trends. Continuous learning increases your personal satisfaction, your opportunity to add value to your work environment, and helps you prepare for your next position. Now you will be able to answer the interview question, "Tell me what you do to stay current?" with confidence and ease.